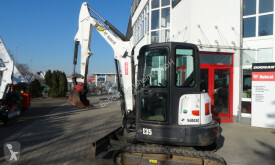 A mini digger, also called compact excavator or micro excavator, is a small size excavator. 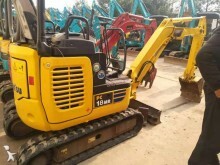 It is used for small scale work and precise work such as road network improvements and trenching programs. 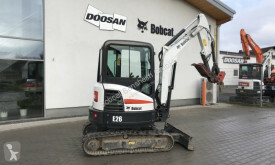 Mini-diggers are often used by private individuals for levelling or landscaping work. 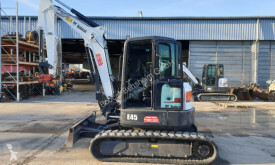 There is a difference between mini excavators, weighing less than 7 tonnes, midi-excavators, weighing approximately between 7 and 12 tonnes. 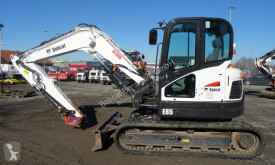 There are wheel mini-excavators and midi-excavators, but most excavators are on tracks. 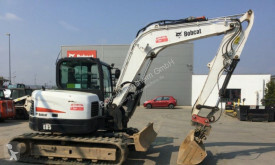 The compact excavator has been invented by the Japanese company Takeuchi in 1970. 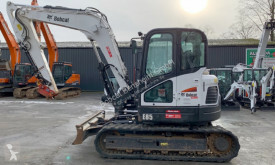 JCB 8018, Kubota KX 41-3 V, Yanmar VIO 25, Komatsu PC50MR-2, Hitachi ZX70, Takeuchi TB 175, Volvo EC 25 : look at the used micro-excavator ads. 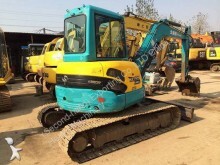 Europe-Construction-Equipment.com is a classified ad portal dedicated to used construction equipment and excavators (from spare parts to bulldozers) : excavators, cranes, loaders, backhoe loaders, bulldozers, dumpers, rollers, crushing sieving equipment, etc. 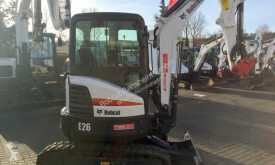 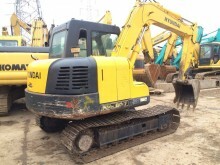 Find all the makes of used excavator and all types of used excavator.